Seriously, don’t sell things to him! He aintpayinyou! 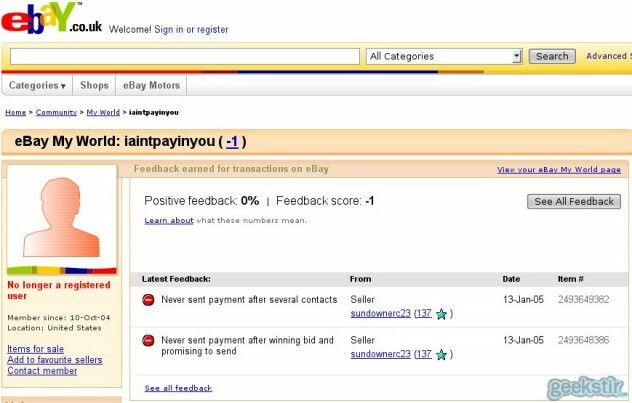 via Never Sell to this Guy on eBay! – Geekstir. There’s a reason they call it fleaBay (among others), you know.